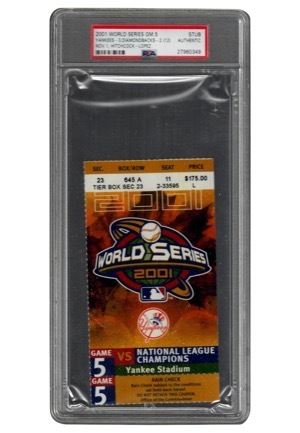 Offered are a total of 19 full tickets and ticket stubs from the 2001, 2003 and 2009 World Series. 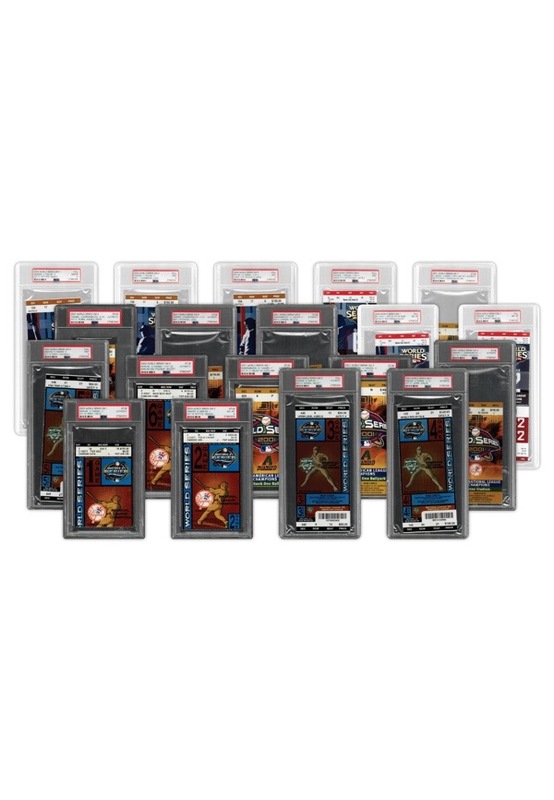 In total there are 10 stubs encapsulated by PSA and graded between “AUTHENTIC” and “NM-MT 8 - MINT 9”. 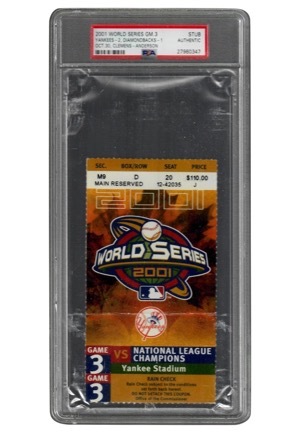 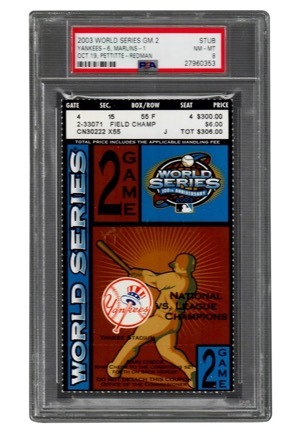 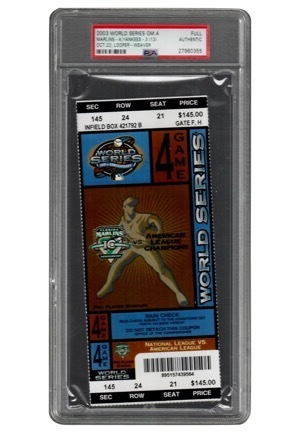 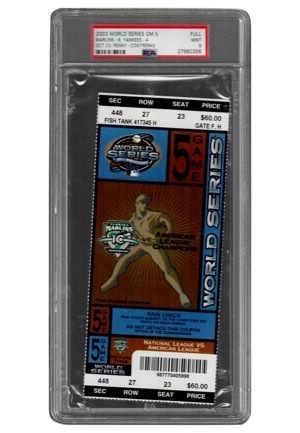 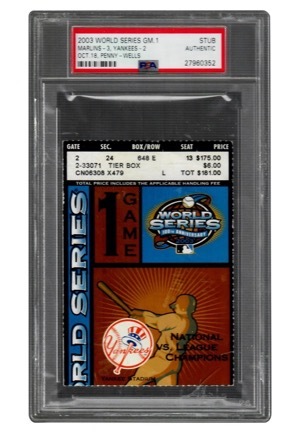 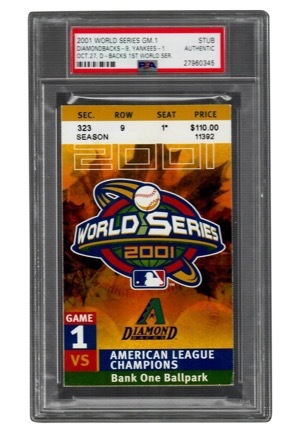 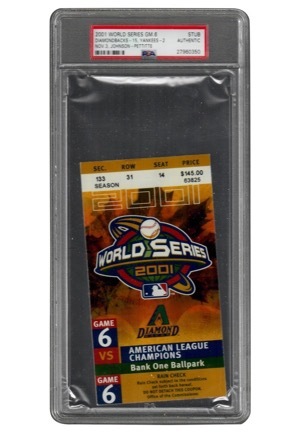 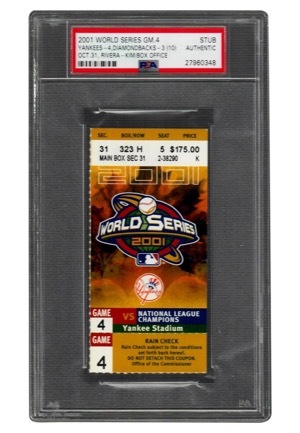 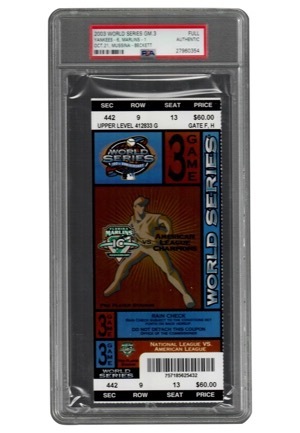 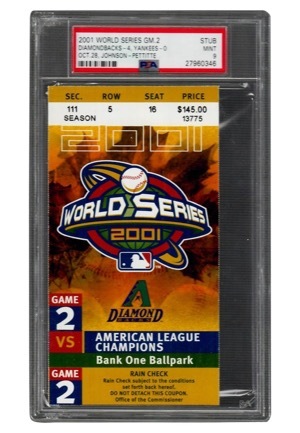 There are 9 full tickets including all 6 from the 2009 World Series that grade between “AUTHENTIC” and “NM-MT 8 - GEM MT 10”.